Weber Shandwick's president exhorts the PR industry to look beyond pure score-keeping at Cannes and instead celebrate its ability to stimulate creativity and great ideas. The sights of Cannes are legend. The sounds of Cannes are much more subtle. The gentle thud of the bro-hug - the annual ritual greeting of the creative class that repeats thousands of times in the crosswalks of La Croisette (typically in the face of oncoming traffic). Then there is the barely audible smack of the air kiss (similar in nature to the zen "sound of one hand clapping".) The air kiss is the semi-official greeting of those who have at least a decade's more experience in these matters than the bro-huggers. It goes without saying the audio of Cannes is rife with glass-clinking, cork-popping and, most importantly, cheering as teams of victorious Lions-winners rush the stage at Le Palais to collect their heavy metal. And, as Martha Stewart would say, "it's a good thing." That, after all, is why we're there. But this year, there was another sound — this one from the relatively newbie PR community at Cannes. It was a loud "harrumph" followed by a repeated "mwah mwah mwah." These sounds, as has been noted by industry pundits, are not new to the Cannes PR soundtrack, but they seemed louder this year, and uttered with a tinge of shock. The first "harrumph" of Cannes Lions 2016 came with the announcement of the PR category Lions winners — a list that recognized the PR handiwork of many an excellent advertising organization. This, of course, has been the state of affairs, more or less, ever since the PR industry was invited to the Lions dance seven years ago. The PR category is a welcome catch-all for advertising-born campaigns that get people talking. And many do. So, yes, our advertising brethren are leaping into our category. But let’s be honest, we’re doing everything possible to leap into theirs. Sixty-five per cent of Cannes Lions entries Weber Shandwick led this year were in categories outside PR. If there were more of us PR-centric people in the mix in the whirl of the Cannes Lions, there’d be some loud harrumphing from the other side. Hopefully, we’ll hear it next year. Next up: the collective and — in my opinion — deserved set of "mwah mwah mwahs" around the issue of points given to PR agencies in integrated campaigns. How, in a world that holds up true, deep, bona fide integration as the sine qua non of marketing excellence did PR — the lynchpin of an integrated campaign — find itself way in the back of the Cannes Lions plane? Hey guys, this is PR's Golden Era. Our ability to ignite the conversation, shape the dialogue, harness the power of influencers, speak authentically, build trust, drive loyalty, and add enduring value is, at last, recognized, sought after, and compensated. We should get a comfy seat on the Cannes Lions jet — and some of those warmed almonds, too. While the Lions system records the PR participants in an integrated campaign, it does not — as yet – formally recognize the role of PR with a trophy or even a handshake from the guy onstage at Le Palais. So others in the marketing services realm are vying for the points that will net them "Agency of the Year" at Cannes, but our points make little headway and there is no "PR Agency of the Year" alternative to vie for. In other words, we got invited to the Lions dance, but the cool kids are dancing and we’re hanging out by the gymnasium wall. And that is not a good thing. But, and you'll excuse my rosé-tinted glasses, I believe we as an industry will quickly move from the harrumphing and mwah mwah mwah-ing to make change happen so Cannes Lions recognizes our place in the pantheon of marketing services disciplines. With the right trophies. And the right points. And the possibility of greater accolades — just like everyone else. Meanwhile, we should recognize what Cannes Lions does for our industry and our teams. It has allowed us to set a new standard for ideas, ideas born of understanding and pathos, ideas that touch people and move them, ideas in the service of business or humankind. The Cannes Lions puts courageous thinking on a pedestal and that, in and of itself, encourages our clients to do the same. 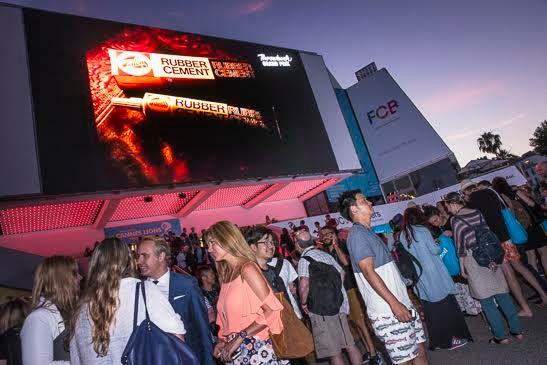 And the Cannes Lions is a no-sensory-stimuli-left-behind testament to the power of globality. A good idea transcends language and nationality. Those who come thinking a grandiose and glossy mega-market happening is the ticket are bested by memorably big ideas from small places. At times it seems off. But Cannes Lions sets the bar in a different direction, deviates from formula. And creative work should do the same. So, yes, the scorekeeping at Cannes Lions needs some review. But for everyone in PR who makes creative work and pushes to get it made, Cannes Lions remains a joyful, dizzying, high-decibel celebration of the only thing that really makes a difference in the world and to the world: a good idea. Gail Heimann is president of Weber Shandwick, which won 6 Lions this year and was credited for PR input on 24 more.